Reach out to the organizer of the event and ask if you can get a list of the recruiters who will be there. Once you have this information, you can research recruiters on LinkedIn and any other information about them to mention when you meet them in person. If you do this, recruiters will be impressed with the research that you did before meeting them. Another advantage of doing this task is to see which employee has the power to hire you versus another employee that may just be there to represent the company. It’s great to talk to both, but since time is limited, it’s good to prioritize who you would like to talk to about employment. Once you do your research on the recruiters, if you see something that you both have in common, like you’re from the same city or a part of the same organization, bring that up in the conversation. When you reach back out to the recruiters for a follow-up, they will be more likely to remember you if you all had something in common. If there is not a commonality, then don’t force it. Do the best you can, but sometimes you cannot force a connection. However, you can always have a good conversation with the knowledge you know about the company. If you are in line waiting to talk with a recruiter, you can spend that time talking to young professionals around you. You would be surprised what you can learn from them and how they may be able to help you with your career journey. He or she may have worked at a company you are trying to get employed by and can connect you with the right people. You can learn even more about a company by speaking to someone right in front of you. If you want to impress a recruiter, you can increase your chance by researching the company as if you are employed there. Know what projects they are currently working on, and you can even mention some of your favorite projects they’ve worked on in the past and what you’ve liked about them. Your knowledge about the company can always be a win in a conversation. Before you go to the networking event, look up open positions on their site. If you see something that interests you, apply for it and tailor your resume to that position. Tailoring your resume may add some extra work for you, but it will all be worth it once you get the job. Be sure to have someone else look over your resume before you present it at the networking event. Let’s say you are interested in an editorial, graphic design, or finance role. It’s smart to bring a portfolio to show examples of articles you've written, graphics you have created, or projects worked on in the past so they can expect to see what you will do for them in the future. 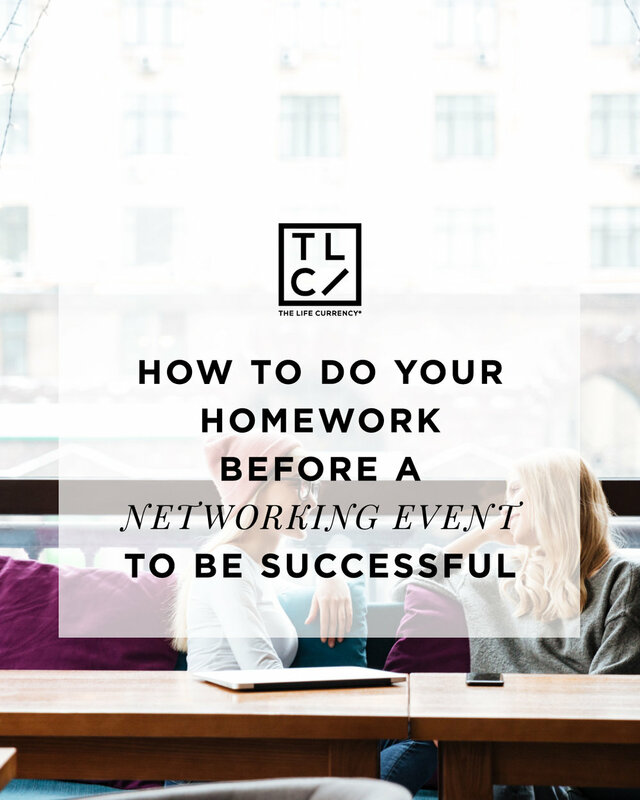 Networking events can be successful if you do your homework and prioritize what you want. What are some other ways you do your homework before a networking event? Khadejah Stegall is a mommy blogger that inspires others to achieve the impossible through the power of Jesus. She enjoys family time, eating vegan meals when it's convenient and mentoring others on professional development. To be inspired by more post, follow her blog at khadejahstegall.com.